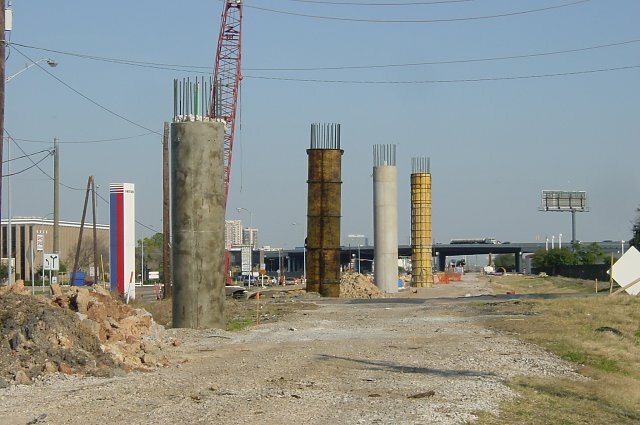 In January 2002, major work was underway at US 59. 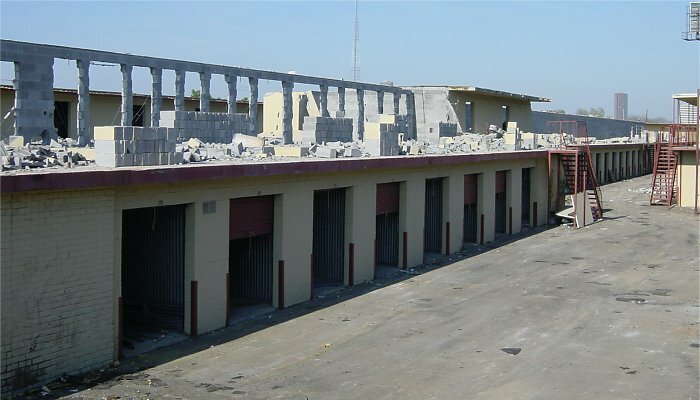 This work includes the demolition of a large Public Storage facility to make way for a connecting ramp. 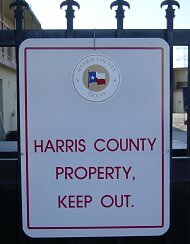 It will be nice when the storage facility is gone because it will open up a lot of space. 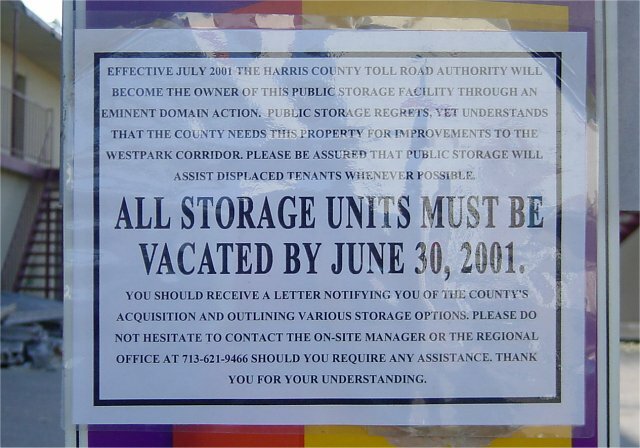 The storage facility was ugly as was built right up the the Southwest Freeway right-of-way line. Looking east along the corridor with the first piers for the connecting ramp. This photo was taken from the south side of the corridor, which will be reserved for future transit use. The Public Storage Facility is being demolished to make way for the connector ramp. 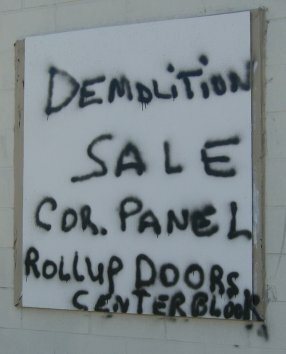 It appears that the storage facility is being demolished by hand, and all the cinder blocks are being recycled.